Eli White does not have any MLB stats for the season. Draft: 2016, Oakland Athletics, 11th rd. Elijah Thomas White…was the starting shortstop for the Clemson Tigers in 2015 and 2016…was a two-time ACC Academic Honor Roll member and majored in financial management…selected by Oakland in the 11th round of the 2016 June Draft and signed by Neil Avent…also drafted by Pittsburgh in the 37th round of the 2015 June Draft and Cincinnati in the 26th round of the 2013 June draft, but did not sign…was an all-state selection as a senior at Wren (SC) High School. Earned both midseason and postseason All-Star honors in the Texas League…tabbed the 20th-best prospect in the TL by Baseball America…voted Best Defensive Second Baseman in the same publication…selected as an Oakland organizational All-Star by MILB.com…ranked among the TL leaders in hits (1st, 154), triples (T1st, 8), OBP (2nd, .388), batting (2nd, .306), walks (T3rd, 62), OPS (4th, .838), total bases (4th, 227), and doubles (5th, 30)…saw action at second, third, shortstop, and center field…was 21-for-61 (.344) with 2 doubles, a triple, home run, and 10 RBI over 15 games with Mesa in the Arizona Fall League…spent the majority of his time with the Solar Sox at shortstop...2017: Led all Oakland farmhands with 32 doubles…ranked 5th in the California League in doubles…was among the Stockton team leaders in doubles (1st), stolen bases (1st, 12), hits (3rd, 121), triples (3rd, 6), runs (4th, 71), and walks (4th, 41)…batted .308/.355/.484/.839 over final 38 games beginning 7/5…2016: Named a New York-Penn League All-Star midseason All-Star in his 1st pro season...played in one game with the AZL Athletics before promotion to Vermont on 6/21. 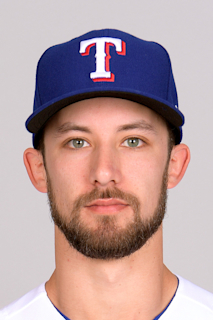 March 24, 2019 2B Eli White assigned to Nashville Sounds from Frisco RoughRiders. December 21, 2018 Texas Rangers Traded SS Jurickson Profar to Oakland Athletics; Oakland Athletics Traded 2B Eli White and Future Considerations to Texas Rangers; Oakland Athletics Traded RHP Emilio Pagan and Future Considerations to Tampa Bay Rays; Tampa Bay Rays Traded LHP Kyle Bird, LHP Brock Burke and RHP Yoel Espinal to Texas Rangers and Texas Rangers Traded RHP Rollie Lacy to Tampa Bay Rays. December 21, 2018 2B Eli White assigned to Frisco RoughRiders. August 30, 2018 SS Eli White assigned to Mesa Solar Sox. April 2, 2018 2B Eli White assigned to Midland RockHounds from Stockton Ports. February 23, 2018 SS Eli White assigned to Oakland Athletics. April 5, 2017 SS Eli White assigned to Stockton Ports from Vermont Lake Monsters. June 22, 2016 SS Eli White assigned to Vermont Lake Monsters from AZL Athletics. June 20, 2016 SS Eli White assigned to AZL Athletics. June 14, 2016 Oakland Athletics signed SS Eli White.